In the 1890s, noted American sculptor, William Wetmore Story, created the Angel of Grief monument for the future grave site of he and his wife in Rome's Protestant Cemetery. 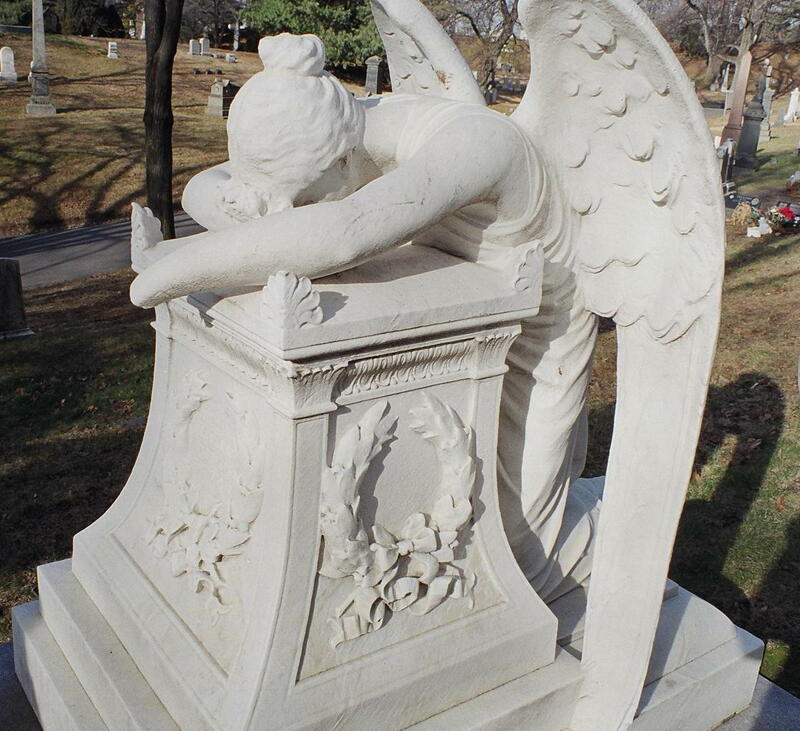 A number of replicas of the Angel of Grief -- also referred to as the Weeping Angel --can be seen around the country in various cemeteries. The above photo.is of one such replica. This early 20th Century version commemorates the Cassard family and can be seen in Brooklyn's Green-Wood Cemetery. A black & white photo appears on page 73 of my Green-Wood book.